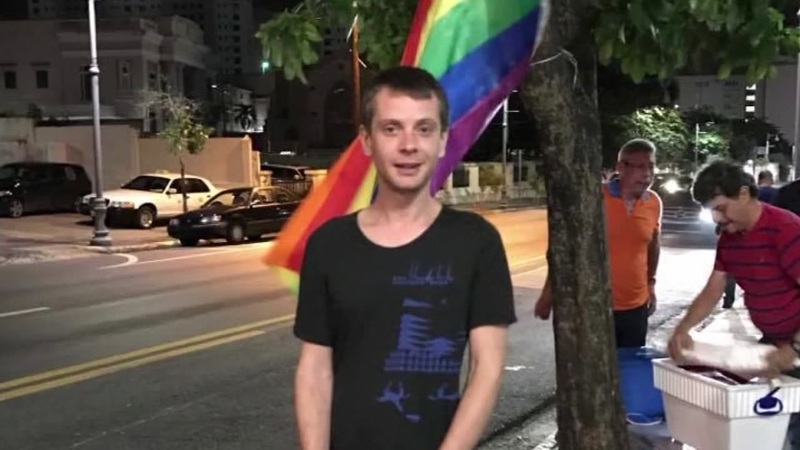 SAN JOSE, Calif. (KGO) -- A gay and HIV-positive San Jose man named Denis Davydov is being held in a Florida ICE facility. Davydov is from Russia and had been seeking political asylum in the U.S., but was detained while traveling back from vacation. What was supposed to be a week-long vacation to the U.S. Virgin Islands, ended with him being detained by U.S. Customs and border protection. "He's scared. He doesn't understand what is happening actually. Yes, it is a lot of stress for him," Davydov's friend Sergey Piskunov said. Piskunov is terrified because Davydov is a gay man living with HIV and has been at the ICE-operated Krome detention center in Miami for more than a month. "He should be released as soon as possible. That's a horrible mistake, and it should be corrected," Russia LGBT spokesperson Nina Long said. Back in 2014, Davydov came to the U.S. from Russia on a tourist visa and applied for political asylum shortly thereafter. CBP declined to comment on this specific case, but released a statement saying: "Each visitor to the U.S. is considered for admission on a case-by-case basis and may in some cases be refused entry if a determination is made that the visitor is attempting to enter the country in violation of terms of their visa, or other applicable U.S. laws." However, legal advocates say Davydov did everything right and had permission to be here. "We don't ever want to panic the community, but this is certainly not business as usual, and it is quite unnerving," immigration equality spokesperson Jackie Yodashkin said. Davydov has been provided with HIV medication from the medical staff. However, he has yet to see a doctor who specializes in HIV. His bond hearing is scheduled for May 8.